As another summer vacation draws to a close, parents must tackle a range of to-dos, from buying school supplies to making sure kids are up-to-date on shots. But in the process of getting kids back-to-school ready, parents shouldn’t forget about their kids’ teeth. Pediatric dentists urge parents to bring their children for a back-to-school dental check-up prior to the start of the new school year. Untreated dental problems can affect kids’ overall health and even their academic performance, they say. 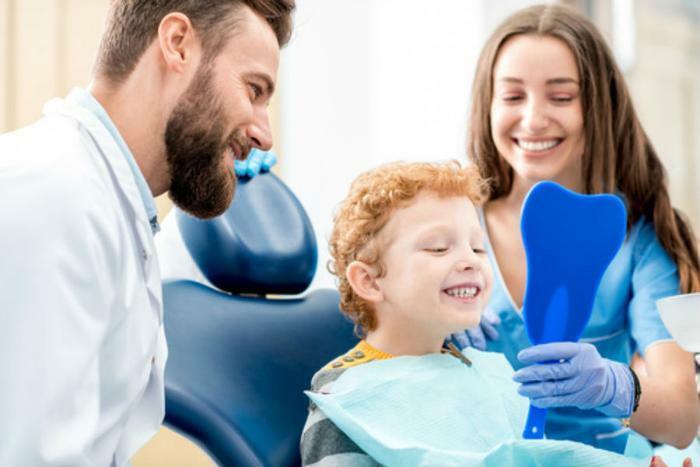 "Health screenings and exams -- including dental checkups -- are an important part of ensuring children get the school year off to a great start," said Dr. Dale Mayfield of Kool Smiles dentistry. “Good dental health is closely linked to academic success,” Mayfield said, adding that back-to-school checkups can help identify potential dental problems before they have a chance to take a toll on kids’ success in the classroom. Cavities and other dental diseases can lead to pain, trouble eating, difficulty speaking, and school absences. In fact, dental disease causes kids to miss more than 51 million school hours each year. During your child’s back-to-school dental visit, a dental team will clean your child’s teeth, check for cavities, and make sure your child is keeping up with good brushing and flossing habits. The appointment likely won’t take more than an hour, but its positive effect on your child’s dental health is sure to be long-lasting. Monitor sugar intake. Most kids love sweets, but sugar-packed snacks and drinks can wreak havoc on your child’s teeth. The dentists at Kool Smiles recommend moderating kids’ intake of sugary foods during and after school hours. Practice the 3-2-1 rule. Have your kids practice the 3-2-1 rule at home: eat three (3) healthy meals, brush two (2) times (morning and night), and floss at least one (1) time every day.